C&O inherited the 21 mile branch line from Balcony Falls (Glasgow) to Lexington, WV. when the Richmond & Alleghany Railroad was merged in 1890. The branch had been built by the R&A when it took over the James River & Kanawha Canal and the North River Navigation properties. 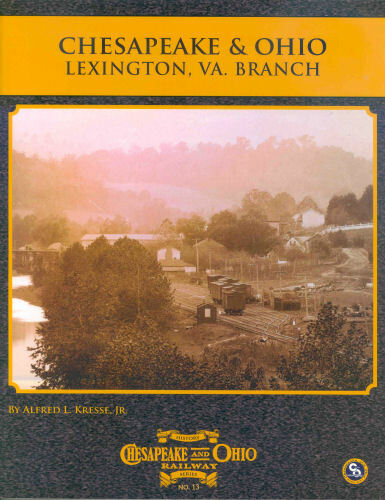 The Lexington Branch was one of only a handful of C&O branches that was not dedicated to coal. Its base was argicultural products., general merchandise, and students traveling to and from Washington & Lee University and Virginia Military Institute. It retained its rural character and steady declined in value to the C&O. It was ultimately abandoned after severe damage by hurricanes and floods. It is a good example of a rural line operating amid the changing times of the early to mid-20th Century. Soft cover.